Dr Grace experienced a troublesome hip injury as a teenager that impaired her performance as a cross country runner and hockey player. She found Chiropractic to not only be the therapy that provided her with natural pain relief but kept her injuries at bay. She credits chiropractic to improving her performance, function and overall wellbeing so she can still run and play hockey today. Dr Grace completed her studies at Macquarie University Sydney and graduated with a Bachelor of Chiropractic Science and a Master of Chiropractic. 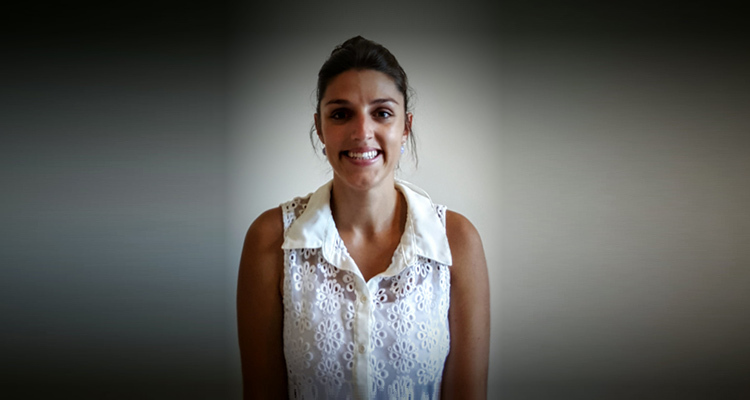 She has had extensive experience working in a variety of clinics and on the sideline of a many a sporting comp in Sydney and most recently Brisbane. Due to Grace’s above average love of sport, naturally she was drawn to applying her chiropractic knowledge and skills to sporting injuries. The last two years, Dr Grace worked as the chiropractor for the Queensland Rugby Union Junior Championships and the Battle of the Border cycling competition managing acute sporting injuries. Who can see Dr Grace? You don’t have to be an athlete to see Dr Grace. Her expertise expands beyond athletes and weekend warriors, it includes headaches, postural overload pain, temporomandibular joint dysfunctions (jaw), falls prevention, paediatrics, pre and post-natal care. Dr Grace is an advocate for healthy movement. As a multimodal chiropractor, she not only addresses your symptoms, identifies and manages your dysfunctional movement patterns, but she also provides you with a tailored exercise prescription too. Dr Grace is a qualified Clinical Pilates instructor offering classes at The Healthy Movement Hub to help you work on your weakness and stretch out your strengths. Dr Grace is a big fan of keeping up to date with the latest evidence based practice and as such is a member of the College of Chiropractic Neuro-developmental Paediatrics, Sports Chiropractic Australia and Chiropractic Australia. Grace acknowledges that the human body is an awesome machine and loves helping people from paediatrics to geriatrics, help their bodies move better and function better through chiropractic and clinical pilates. She looks forward to helping you achieve and maintain your healthy movement potential so you can get amongst life at your best!